Never let it be said that music software stands still. Digital Performer 5 has been shipping for some time now, and we haven’t gotten a chance to look at it yet. The upgrade improves upon traditional program strengths (an easy-to-use, polished interface, and unusually strong film scoring features), while finally offering the suite of built-in instruments for which I and many others had been clamouring. There are a lot of DAW choices these days, and it’s really more about individual needs and preferences than figuring out which is “best.” Telling the story of a complex piece of software like this is really the challenge. I’ve been surprised that two reviews I wrote of DP 4.5x, an individual review for Keyboard and a comparison for Macworld, earned me fanmail from existing users. I think the reason was that, with hype over competing products, those users wanted someone to put into words why they made the choice they did. DP has the advantage of being measurably “better” at one particular task, producing scores for film and video, but in other categories competition is tight enough that it really comes down to implementing features in different ways. It’s my belief most people who buy a DAW want some included soft synths so they can make noise right out of the box. Now, true, you’ll hear the occasional person complain about bundled instruments (no, really), apparently thinking that detracts from the program, but if you’re one of those people, just ignore the thing, already. DP faced some particularly intense competition from Logic Pro’s absurdly huge selection of samplers, synths, and noisemakers. Logic sells at a higher price, but it was tough to get that level of integration and depth by combining DP 4.x with a la carte instruments. 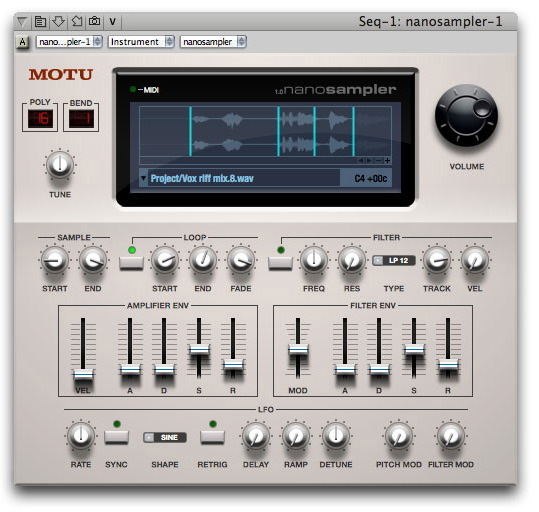 product.” There’s definitely some similarity in concept to the simplified instruments in Ableton Live and the included instruments in Logic, but when you see the implementation, there’s a real MOTU spin to them that long-time users will like. The one category where DP consistently bests its competitors on both Mac and Windows is film scoring. We could split hairs comparing other features in the 6 or so top DAWs for hours on end, but DP has more and easier-to-use scoring features than any of its rivals. If there was any doubt, DP 5 adds still more: DP 5 provides display and export streamers, flutters, punches and a visual click directly on a QuickTime movie. You can even trigger external hardware to display visual cues on an external video monitor. In other words, DP is the kind of app you can use with a full orchestra on a soundstage (and people do use it that way on a regular basis). It’s certainly possible to score with other apps, and many do, but DP is winning a lot of love from the high-end scoring market. For Mac users who have looked enviously at the track grouping features in software like SONAR on the PC, DP fires back with track folders and subfolders. But the one feature that’s really new in DAWs (though not in mixer hardware!) is the new on-screen metering: all your I/O, tracks, and instruments can appear in a single “Meter Bridge.” I’m surprised MOTU beat Apple to the punch on this one, because it’ll sell some widescreen displays to those who don’t have them yet! There are a couple of features that, inevitably, come off as me-too features, like the MIDI keyboard directly ripped off from Logic and GarageBand. But, hey, in the spirit of competition, I wish apps would copy good ideas from each other more often. New features are great, but what I suspect a lot of users most need to know is, will it support your existing Pro Tools hardware or that new Intel Mac you’ve got your sights on? As previously supported, Logic Pro 7.2 will require Pro Tools 7 for its Pro Tools audio hardware and TDM plug-in support. MOTU’s Website also says you need Pro Tools 7, but Jim notes: “DP 5.0 supports DAE 6.7 or higher, but 7 is highly recommended.” This is largely on Digidesign’s end since they provide the DAE software that lets this happen, but it’s worth noting nonetheless. 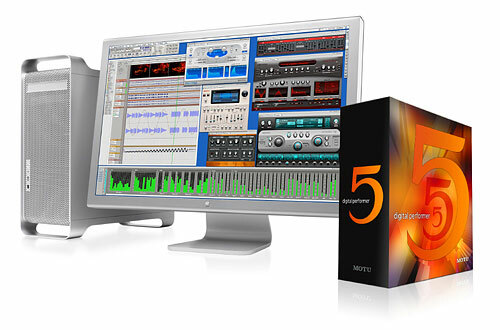 DP5 looks like a major upgrade, and it keeps the heat on Logic Pro in the Mac-only DAW space. Logic still has the power of the Environment, integration with GarageBand and Final Cut, and is unquestionably the best choice if you want your DAW to double as a broad suite of effects and instruments. But DP keeps getting richer as far as arranging and mixing tools, a deep set of scoring features, and wraps its extensive editing features into an easy-to-use interface. I’m glad we’re spoiled with the choice, honestly, because it means we can choose based on personal preference and what matters to our work. I look forward to getting to review these monsters again, particularly if Apple can ship a Logic Pro 8 release this year. And that’s to say nothing of Nuendo, Pro Tools, Cubase, Logic, Tracktion, Live, and so on . . . those poor graphic artists, who have to buy everything from Adobe. We’re lucky. There’s nothing like a good match-up. 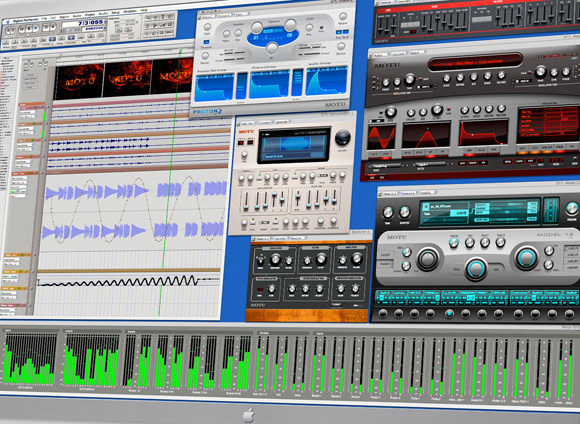 Got a DAW of choice? Let us know in comments or on the software forum.